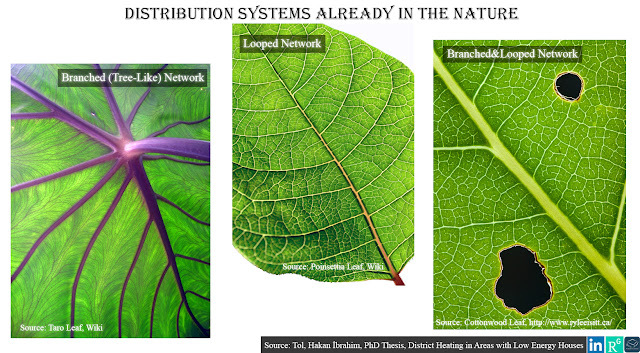 A short introduction about distribution network types with photos from nature. Please give a focus how the veins of these leafs in the photo are structured. Some branched, some having a loop formation and some a mixture of both! 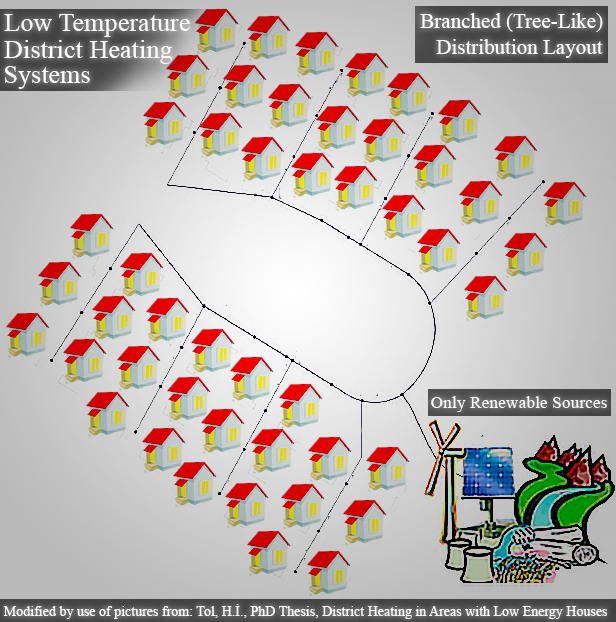 A question rises that highlights the necessity of distribution systems in our lives, especially district heating/cooling networks: why such natural elements have a structure of distribution instead of individual production? Please think about various forms of distribution in the nature: you can find lots of examples i.e. the blood vessels, neural system, etc.! The network layout (network topology) is briefly described after this inspiring-from-nature photo below. Obvious that nature at most uses centralized distribution to satisfy the local needs. So do the district heating systems! 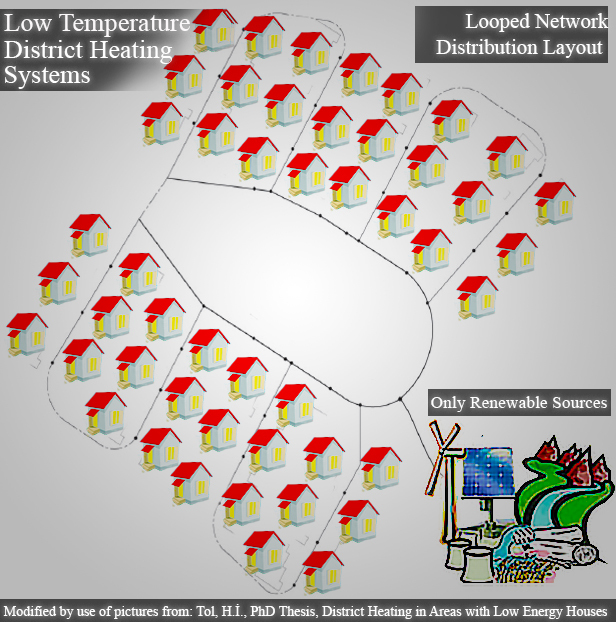 Although in my publications the network layout was took part in the observations found in the field of low temperature district heating systems, the mature technology district heating itself has already involve of these various layouts of distribution networks. Due to its form like branches of a tree, branched networks are also named with the term of "Tree-Like". Its reside in a district heating system is with supply of hot water from the production site only in one direction from production to consumers. Looped layout allows the circulated medium in the distribution piping network to reach the heat consumers from different directions. The direction of the flow is affected according to the dynamics of the heat consumption by the heat consumers.